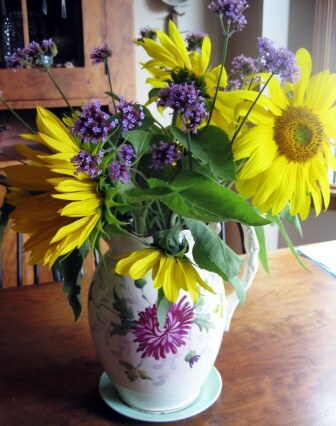 I love picking fresh flowers from the yard throughout the growing season. 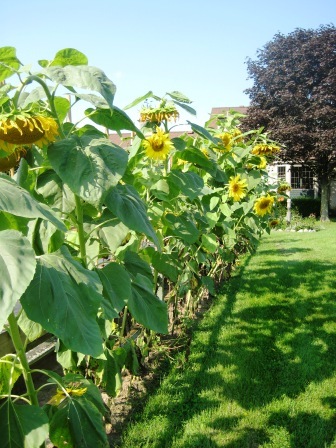 The sunflowers are blooming! I usually plant a row of sunflowers along the north side of the veggie garden, not for picking necessarily, but for the birds! 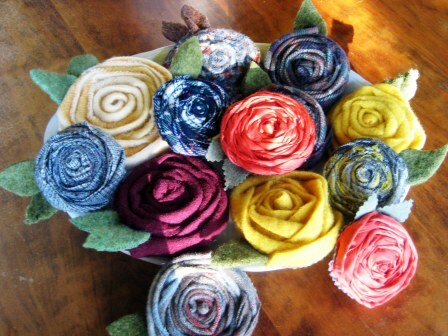 As I prepare for an upcoming fiber festival, I’ve been busily working on another type of flower…a wooly creation. 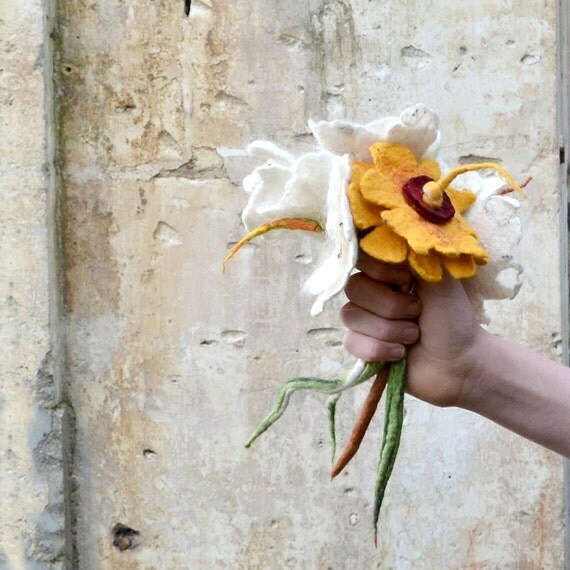 You can make these flowers too…they’re simple, fun…and VERY free-form! Anyone can make these, really! All you need is some fabric. ANY fabric! 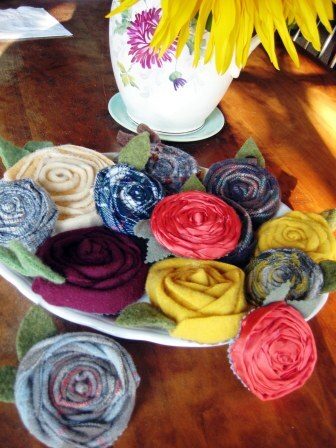 I used recycled felted wool; a variety of colors and patterns, solid, plaids & checked. Any cotton, silk, burlap, etc. would be fine too! Go through your fiber/fabric stash. Dare to think of the possibilities. 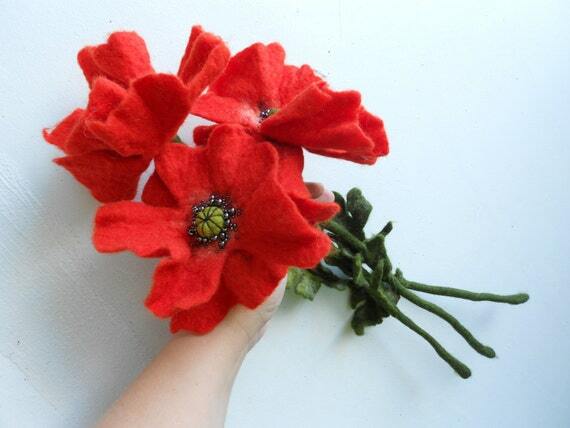 For example, the ‘red’ flower is made from the satin edge/binding from a wool blanket! Hey!!?? To begin, cut or rip/tear (for a more prim look) a strip of fabric. 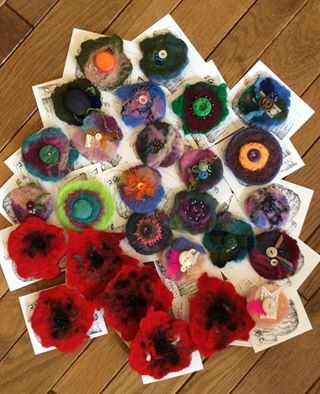 My wool flowers are between 1/2 – inch and 1 1/2 – inch wide. Wider makes a larger, more dramatic flower. Thin, for a fine, delicate flower. There are lots of tutorials on-line if you need more detailed instructions. 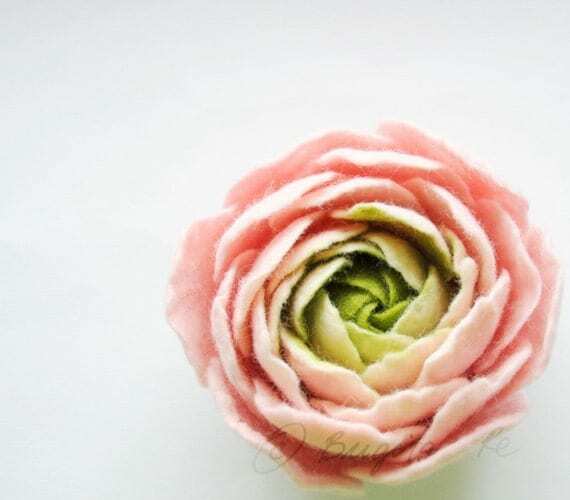 To begin, tie a knot at one end (or just begin to roll to form a center) and begin to wrap the fabric around the central knot, twisting it over every so often (to form petals). You may stitch w/needle and thread or use a glue gun to fasten/tack here & there as you go. More fabric…larger flower. You decide. 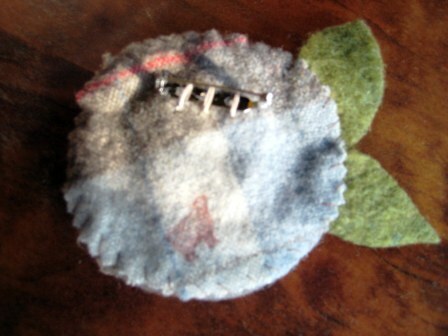 To finish, I cut a circle of fabric for the back, whip stitch the edge and add a pin-back. Oh, if desired, add a leaf or two or more. 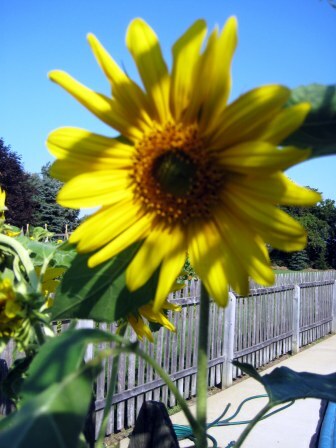 How about ‘petals’ all around to make a sunflower? (I think I’ll have to make one of those…). 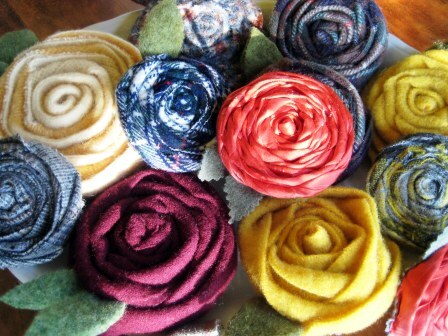 These flowers may be used to embellish sweaters, coats, hats, handbags, hair accessory, a topper for a special wrapped package (a part of the gift)…and so much more!